Highly ranked UFC lightweight contender T.J. Grant is carefully taking his time to return to the Octagon from a concussion, according to report on Wednesday night. 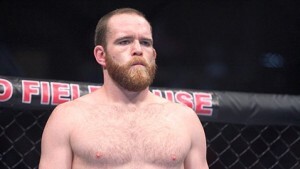 Grant (21-5) sustained his injury in the summer of 2013, just before he was to get a lightweight title shot against then-champion Benson Henderson. He has since been attempting to make a return to fighting, telling UFC Tonight that he targeted a January comeback. Unfortunately for Grant, he is still not 100-percent healthy and continues to deal with lingering issues from the concussion, according to the report. At this point, there is no timetable for Grant’s return and he told the FOX Sports 1 program that he will update the UFC when his health returns to full capacity. 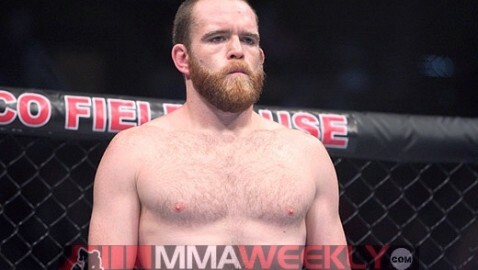 Prior to his injury, Grant was on a tear in the 155-pound division. The Canadian had won five fights in a row in the UFC, including consecutive finishes in his last two fights. His latest performance had him earning a TKO win over former No. 1 contender Gray Maynard at UFC 160 last May. The win over Maynard prompted UFC president Dana White to name Grant the next challenger for the lightweight crown. Just weeks out from UFC 164, where Grant would fight Henderson for the title, the challenger sustained a concussion while training. The head injury forced Grant out of the main event, allowing current champion Anthony Pettis to step in as a replacement. Pettis submitted Henderson that night in August, becoming champion. Grant would not say whom he would like to fight upon his return, leaving that responsibility to the discretion of the organization.